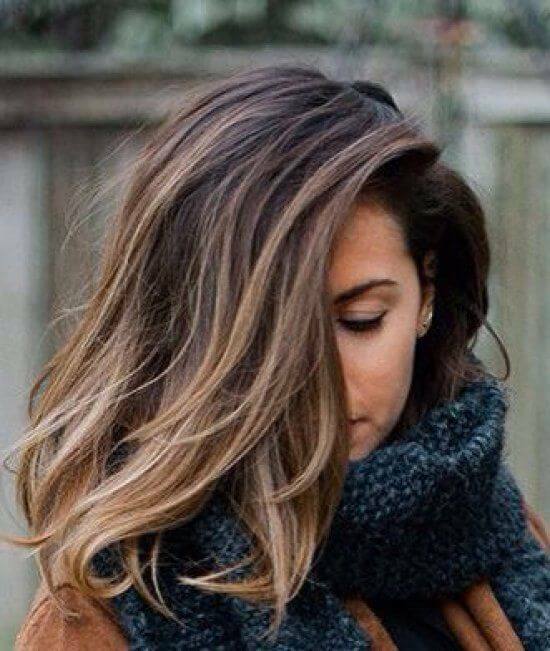 Fall is a great time to try out a new hair color. It’s not so cold that you need to baby your hair from damaging winter air, but it’s not so hot that you’ll sweat out all of that precious dye. Plus, natural fall colors are too beautiful not to emulate! We’ve picked trendy hair colors from Pinterest for you. See if your next fall hair color could be on this list. Nothing says fall like this classic, reddish brown. Auburn makes you think of cool air, warm and spicy apple cider, and the color of the changing leaves. Natural brunettes won’t have to do too much damaging color lifting, and natural blondes won’t have to risk this color being too dark. Auburn is best suited for those with any undertones and can really bring out olive skin. If you really want that ‘wow’ factor with your new fall hair color, silver is the way to go. This gorgeous color is a lot of work — and a lot of damage if you aren’t a natural blonde — but with the right stylist and lots of conditioner, it will be well worth the effort. Silver looks incredible on skin tones with yellow or neutral undertones. If you love silver but aren’t ready to commit to something so drastic, check out our next hair color. Imagine all of the amazing multicolored braided hairstyles you could do with this silver ombre. Anyone can wear this stylish ombre, and the best part is that you won’t have to keep coloring and damaging your roots. When you’re done with this style, just chop off the tips: no more damage! Ombre never goes out of fashion, and there are always new ways to update this classic style. A honey-colored ombre is a fantastic way to grow out any leftover summer blonde dye or add a little color to your life without doing anything too extreme. Those with dark blonde or light blonde hair will love how easy it is to get the ‘bronde’ look. Perfectly balanced between blonde and brown, this look has just the right amount of brassiness. We love this modern take on highlights. Balayage, which is French for “to paint” or “to sweep,” is a technique in which the colorist hand-paints soft highlights without using foil. This style is so low maintenance because there’s no need for constant upkeep — you can just let it grow out. The golden tones on deep brown hair are like a visual reminder of all the rays you soaked up this past summer. This warm golden blonde reminds us of that soft, gorgeous light as just before sunset (AKA “golden hour”). These hues are perfect for anyone with neutral skin tones, olive skin tones, and darker skin with cool undertones. Honey is a classic, warm color that has been a celebrity favorite for a reason. Think Jessica Alba, Beyoncé, or Ariana Grande. Warm skin tones are best for this hair color, but you don’t have to miss out if you have cool undertones– just check out the next fab fall hair color! Rose gold has so many different tones to it– it can really be versatile. So if you love gold but you have cool undertones, this is the perfect hair color for you. We love this particular take on rose gold by Jake Tafoya. Any skin tone with any type of undertones can rock this look. Many go blonde for the summer and brunette for the winter, but you don’t have to choose the same old chestnut every fall. Spice things up with this cool-toned brown. This can be an especially stunning hair color for those with darker skin tones. This shade of red will have you absolutely swooning. It’s not super bright red, which means that it won’t fade as drastically. If you look closely, there is also a gradual ombre, so if you have naturally brown hair, your roots won’t look as strange growing in. If you’re looking for another bold choice for fall, bright red is flattering on a wide variety of skin tones. Famous celebrities who have flirted with this shade include Rihanna and Ariana Grande. Don’t be afraid to go for it — just be sure to use a color-safe shampoo, as red can fade quickly! Whether it’s your natural hair color and you want to go back after some experimentation or if you just want a change, black hair can be the most flattering color for many. If you have light skin, the contrast of black hair can be extremely striking. If this is the case, ask your colorist for a brown-black rather than an inky jet black so that you don’t get washed out.